- In late June/early July, a joint Canadian/American team would attempt the unclimbed south summit of Mount Vancouver on the Canada-Alaska boundary, to be called Good Neighbour Peak. The reason was that 1967 was not only Canada's centennial, it was the centennial of the American purchase of Alaska from the Russian government. - For two weeks in mid-July, thirteen 4-person teams, operating from three base camps, would attempt 13 unclimbed peaks in the newly-named Centennial Range, 30 miles miles north of Canada's highest point, the 19,850-foot Mount Logan. - For two weeks in late July, a mountaineering camp beside the Steele Glacier, 30 miles north-east of the Centennial Range, would welcome climbers from Canada and around the world. Organizing and running the entire project required a lot of preparation and hard work by many people. The chief coordinator of the project was David Fisher, who was a vice-president of the Alpine Club of Canada at the time. The peaks of the Centennial Range were named as far as possible to correspond with the relative locations of the Provinces on a map of Canada, without regard to which provinces have the higher mountains. As a result, Mount Québec is 12,300 ft high, and Mount Prince Edward Island 12,260 ft, both almost even with Centennial Peak at 12,320 ft, while Mounts Yukon and British Columbia are 10,600 ft and 10,200 ft respectively. Height is however only one of many factors that affect their relative difficulty. The available maps had contours only at 500-foot intervals, so the teams had to make reconnaissance climbs to determine feasible routes. Some of Canada's climbing elite may have thought that YACE would be more of a ceremony than an expedition. Fortunately, a more than sufficient number of applicants came forward to provide 13 highly competent leaders and other experienced climbers to make up the teams. Leaders included Vancouver veterans Fips Broda and Paddy Sherman. In 1958 they they were part of a team - led by Sherman - who made an ascent of 15,300-foot Mount Fairweather, British Columbia's highest point. They miraculously escaped disaster when an earthquake and mountainous tidal wave destroyed Lituya Bay, Alaska, 2 hours and 17 minutes after they had been picked up by their aircraft, a day earlier than expected. The leader on Mount Québec was Claude Lavallèe, a young Montréaler and expert climber on the steep but utterly reliable granite rocks of his native province. He was delighted to get this chance to show that Canada was his country too. Five of the 52 Centennial Range climbers were at the time living in the Ottawa area: Chris Gardner (assigned to Mt. New Brunswick), Roly Reader and Sev Heiberg (Mt. Ontario), and Hans (Howsie) Weber and myself (Stan) assigned to Centennial Peak. In 1961 Sev had led a 5-man "Ottawa Expedition" by a new route to the 19,370-foot North summit of Alaska's highest mountain, Mt. McKinley. He should have been asked to lead one of the Centennial climbs, but he accepted a place on the Mt. Ontario team led by renowned Helmut Microys, and contributed greatly to their success. Hans Weber had been a member of a Swiss group that in 1953 made the first ascent of the famous Mt. Asgard on Baffin Island in the far North. As for me, my credentials were on the thin side, considering that better-qualified individuals applied but were turned away. In the event, the climbers didn't have to worry about excessive ceremony - the activities took place without TV cameras, 120 miles from the nearest road, deep inside the Saint Elias Range of mountains, also known as the Icefield Ranges. Although these unclimbed peaks were set among the giants: Logan, St. Elias, Lucania, Steele, Walsh and Hubbard, all of which had been previously climbed, each team quickly discovered that their target was a substantial challenge. Starting with skimpy information, the first step on arrival was to identify which peak or collection of related peaks was their assigned mountain. Then they had to conduct reconnaissance climbs to identify a feasible route to the highest point. After that they could plan and execute a summit attempt. All of this in just 2 weeks of changeable mountain weather, with fog, rain and snow. In 1967 the Icefield Ranges Research Project (IRRP) had a semi-permanent camp situated on the continental divide. It was usually just known as "Divide." The 52 climbers bound for the Centennial Range were ferried by fixed-wing aircraft from Kluane Lake to Divide, and thence by helicopter to one of three base camps located on glaciers named T-Bone, Prairie, and Fundy. Two maps: One illustrating the relative positions of the various mountains along the Centennial Range that were scaled and the other detailing the flight paths followed in ferrying climbers from Kluane Lake to the Centennial Range. Roll Two, pages 3-7 Team members in early preparation for their climb. Two views of Prairie base camp that was the starting point for the climbs to Centennial Peak and four others named for Alberta, Saskatchewan, Manitoba and Ontario. Centennial Peak as seen from high up on Mt. Saskatchewan (women's team leader Gertrude Smith in foreground). The next 6 photos show an abortive attempt to climb Centennial Peak, often in fog, with snow covering steep ice and rock. On this attempt, the group reached a high point with no feasible route beyond, and retreated. The team returned down to their high camp, taking great care due to avalanche conditions and their own fatigued state. They arrived back at their tent at 3am. Meanwhile, 16 July on Mt. Ontario....(All the other teams were busy with similar activities). Back at Centennial Peak: The team waited several days in snow, rain and poor visibility, then at 8pm on 22 July, set out for what they knew had to be their final attempt. At the icefall they made a relatively comfortable bivouac, which lasted a full 8 hours due to blowing snow. In July 1967 the climbing conditions in the Centennial Range were more difficult than up among the highest peaks of the St. Elias mountains, which often were above the clouds, fog and snow that enveloped the Centennial Range. See page 36. 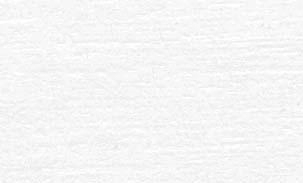 (Mt. Logan). As we descended the summit ridge, it once again grew light. Later, Howsie told me, a piton that Klaus and I had just rappelled from was lying loose on the ledge. Fips grabbed him just as he was about to follow us. On the last rappel down the snow of the headwall a makeshift wooden picket proved unequal to Howsie's weight, and he finished that descent in a snowball of red rope. In the Canadian Alpine Journal Fips says Klaus and I caught him above a gaping crevasse, but I do not recall that. On a narrow ledge at the top of the icefall, the sun was shining and we knew our way down. Within seconds we were interrupted by the sound of a helicopter. There was no place to land, but Jim Davies edged in, perched one skid on the ice ledge, pushed the door open, and beckoned us to get in. We were overdue, and expedition management wanted us evacuated. After being the negative member of the team for two weeks, my feeling now was disappointment at this interference - we could do this on our own! One at a time we threw our packsacks onto the outside rack - no time to strap it down - climbed in, and off in a wild plunge down empty space to Strip Col. When it was my turn, I was astonished when Jim insisted that I fasten my seatbelt before he would move off the ledge, all this while the spinning rotor blades were only an arm's length away from the icicles. Jim took Howsie and Fips down to pack the high camp, and Klaus and me down to Base Camp to prepare for being flown to the next phase of our trip. It was a very hurried separation. Klaus and I didn't get the rest we were hoping for until the next day, owing to Roly's accident on the Dennis Glacier. But that's another story. In 1967, climbing equipment and techniques were in a state of rapid transition. Ice axes were still designed for cutting steps - the pick was bulged at the tip so that it would shatter the ice without getting wedged. But within a few years, tips had been redesigned to wedge firmly when swung at the ice to provide a handhold. This made them almost useless for step-cutting, so climbers began using stiffer boots and rigid crampons that would give a foothold on steep ice without cutting steps. New ice screws, inserted deep into the ice, were secure enough to hold the weight of a falling climber - at least most of the time. As with every other human activity, younger people adapted faster to the new era, but the oldies continued to go into the mountains, whether intent on big new challenges, or devoid of technical gear, just escaping from the artificialities that masquerade as life in civilization. It is a common fallacy (at least in my humble opinion) that "time goes faster when you are busy." On the contrary, when your mind is truly focused, every second can seem like a hundred. And you are going to remember every one of those seconds for a long time. In 1997, thirty years after the Centennial climbs, many of those who had been there gathered in Banff for a reunion. Whatever else in their lives these people might have forgotten, the adventures of 1967 remained rivetted in their minds, and still do today, another 7 years later. 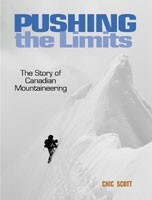 If you want to read more about Canadian climbing, "Pushing the Limits" by Chic Scott is a magnificent reference book published in the year 2000 by Rocky Mountain Books of Calgary, Alberta. More than 100 years of Canada's mountaineering history is packed into 440 pages. (ISBN: 0-921102-59-3).